The tunnels of Joseph Williamson in Liverpool continue to fascinate and tantalise historians; the similarities to other tunnels and caves in England, such as the Hell Fire caves of West Wycombe, created by Sir Francis Dashwood in the mid eighteenth century, suggest they may have acted as an eccentric folly, and may been used as a secret meeting place for like-minded gentlemen. Joseph Williamson was a self-made Liverpool businessman; born in Yorkshire in 1769, his family settled in Warrington, and the young Joseph eventually left for Liverpool, where he was apprenticed to a tobacco merchant. He rose through the ranks, married the boss’s daughter, and ended up running the business. He began to make connections in Liverpool Society, and became involved in building houses on what was then the edge of the port on Mason Street, near to the present day Edge Hill area of the city. 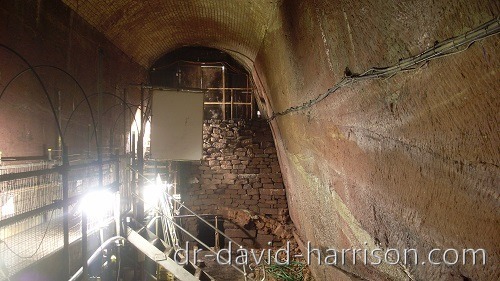 It was underneath these properties, in an abandoned sandstone quarry, that Williamson began constructing his tunnels, sometime around 1816, giving employment to the returning soldiers of the Napoleonic wars. This reflects the origins of the West Wycombe caves; Dashwood employing the local farm workers to dig the caves after a period of drought and failed harvests during the 1740s, in an attempt to combat poverty. 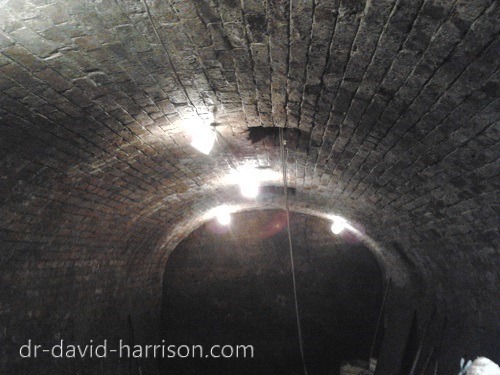 Williamson continued to construct the tunnels until his death in 1840, the labyrinth of tunnels revealing some excellent craftsmanship; with cobbled walkways and brick arches creating a cavernous architectural splendour. 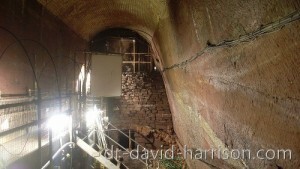 Some of the sandstone removed from the tunnels was donated for the building of a local church, and Williamson seemed to convey a philanthropic attitude, which has gained him affection in Liverpool even today. It has certainly been speculated upon by many of the members of the ‘Joseph Williamson Society’ and the ‘Friends of Williamson’s Tunnels’ – two groups which look after different sections of the tunnels, that they may have indeed been used for Masonic meetings; a secret gathering place for like-minded gentlemen, not unlike the Hell Fire Club meetings of the West Wycombe caves, some of the erstwhile members of which, such as MP John Wilkes and American Revolutionary Benjamin Franklin, were known Freemasons. Caves are still a common meeting place for lodges in various parts of the US, for example, in Kentucky, Masons met in Mammoth Cave. In Oregon, Malheur Cave has been the site of meetings of the Robert Burns Lodge No. 97, and in New Mexico, the Carlsbad Caverns have also witnessed lodge meetings. In Australia, there has also been a lodge, which has met in a cave in New South Wales a number of times. Quarries have also been the location of lodges in both the US and in Australia. No evidence has yet come to light that Williamson was a Freemason, but there is slight evidence that Freemasons may have been in his tunnels; either digging them or visiting them. Amongst the many common artefacts discovered in the tunnels are clay pipes, and one particular clay pipe bowl was brought to my attention after a visit to the tunnels, one which had the Masonic symbol of a square and compass on it. Clay pipes were used throughout the eighteenth and nineteenth century, and were fairly common as most men smoked, some were personalised with names and symbols on them; for example anchors and military insignia, and in this case, Masonic symbols. 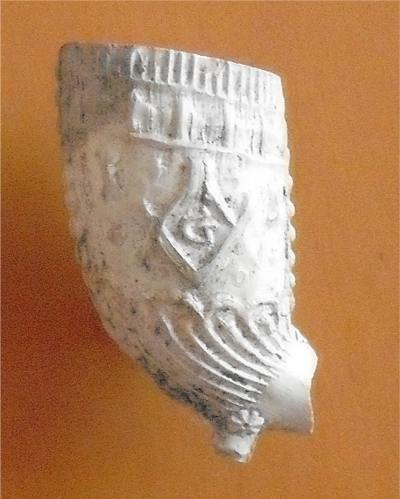 This particular clay pipe bowl is typical of the ones manufactured in the early nineteenth century; it has the typical ribbed and vine/leaf design, and on the reverse side to the square and compass is a bird, which could be interpreted as a liver bird. So it is possible that the man who smoked this pipe was a Liverpool Freemason. At this time, there were around ten lodges operating in Liverpool, and in 1823, a Masonic rebellion took place in Liverpool which resulted in a separate rebel Grand Lodge operating in the port for a time. There were at least two Liverpool lodges under this Rebel Grand Lodge, but unfortunately, no complete records exists of their members after 1823, even though one of the lodges continued to operate until at least 1858. It is not known where they met after 1823, and their leader, a local engineer and cartographer Michael Alexander Gage was actively involved in local politics, later working against the proposed Liverpool Waterworks Bill in 1850. The liver bird was also used as a symbol for some Liverpool based Masonic lodges, such as the Merchants Lodge, a lodge, which supported the rebellion at an early stage, and used the liver bird on its Masonic certificates. Freemasonry in Liverpool attracted tradesmen, businessmen, professionals, merchants and landowners, so Joseph Williamson and his associates certainly fell into the category of being members of the Craft at that time. Williamson undoubtedly knew the value of local networking; he was a member of the Liverpool Hunt, famously attending the Hunt on his wedding day, and there is the revealing legend of him hosting a dinner for guests in the tunnels; serving, to their disgust, a cheap meal of porridge, which led to a number of the invited gentlemen to leave, only to take his real friends who stayed behind to a magnificent feast in the famed ‘banqueting hall’. Of all Williamson’s known associates, none appear to have been members of the Liverpool lodges during the early nineteenth century, though there is one particular name who had a tenuous link to other known Freemasons. 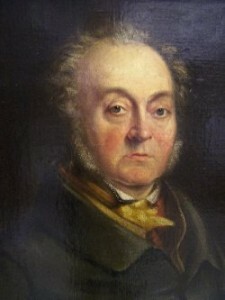 Cornelius Henderson painted portraits of a number of prominent Liverpool gentlemen, including William Shepherd, abolitionist and Dissenting Minister of the Gateacre Unitarian Chapel. Shepherd had been taught by none other than the radical Minister Dr. Richard Price, a Freemason who was connected to various Dissenting Academies. Price had visited Joseph Priestley while he tutored at the Warrington Dissenting Academy, an Academy, which had a number of tutors that were Freemasons. Shepherd himself had been educated at Holden’s Academy near Rainford and at Daventry Academy. urse brings us back to the clay pipe bowl with the Masonic symbol of the square and compass; where exactly was it found? What stratified layer of tunnel debris did it come from? The answers to these questions we will never know, and the section of tunnel it was found had been used for dumping the port’s refuse during the later Victorian era. 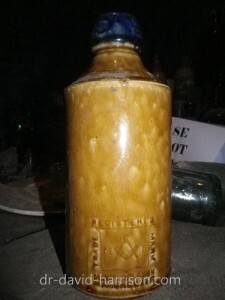 Because of its design, it can be dated to the early part of the nineteenth century – before 1840, and it is likely to have belonged to a local Freemason. The design of the bowl is very similar to pipe bowls found at a clay pipe making ‘shop’ at the Rookery Farm site, Rainford. There were said to be other clay pipe bowls found with the same Masonic symbol of the square and compass in the tunnels, so there may have been other men in the tunnels from the same lodge, and who knows, one day more concrete evidence may come to light of Masonic activity in the tunnels, with evidence that Williamson himself was a member of the Fraternity. i. See J. Stonehouse, ‘’The Excavations of Edge Hill, with a Brief Notice of the Late Joseph Williamson’, in The Transactions of the Historic Society of Lancashire and Cheshire, Volume 68, (1917). iv. See David Harrison, The Genesis of Freemasonry, (Hersham: Lewis Masonic, 2009), pp.139-141. vii. Many thanks to David Cook for his information on Australian Freemasonry. David Cook is a member of Barron Barnett Lodge of Research No. 146, United Grand Lodge of Queensland. viii. See David Harrison, The Liverpool Masonic Rebellion and the Wigan Grand Lodge, (Bury St. Edmunds: Arima Publishing, 2012). ix. See David Harrison, The Transformation of Freemasonry, (Bury St. Edmunds: Arima Publishing, 2010), pp.19-36. x. P.J. 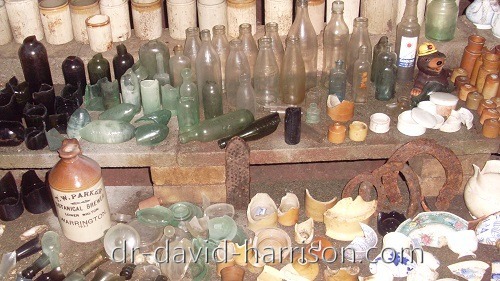 Davey, Rainford Clay Pipe Industry, (Oxford: B.A.R., 1982), pp.179-183.